An in-person interview can be a critical step in the hiring process and can help a recruiter or hiring manager determine whether a Job Candidate fits the organizational safety culture and core safety values of your company. Studies have shown that behavioral interviewing can be an effective interviewing technique and can help the interviewer understand more about how a candidate might act when faced with a workplace concern or safety issue. The premise behind behavioral interviewing is that a person’s past behavior can more accurately predict future performance in similar situations. By asking a job candidate how they performed in specific real-life settings, you’ll gain a better idea of how that person may behave if they work at your company. By considering a candidate’s propensity to adopt safe workplace practices, business owners can gain insight into how they will embrace the company’s safety culture. 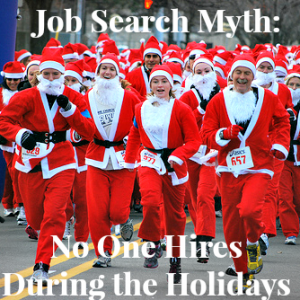 There is a myth out there that says that companies don’t hire during the holidays. But it’s just that…a myth. Just ask the jobseeker who was offered a job on Black Friday. Or the one who was invited in for a second interview two days before Christmas. Putting your job search on hold between Thanksgiving and New Year’s isn’t just a bad idea — it’s a self-fulfilling prophecy. Like hockey great Wayne Gretzky said, “You miss 100% of the shots you don’t take.” If you’re not looking for a job during the holidays, you’re not going to find one. Employers hire all 12 months of the year. In fact, many new positions are funded to start with a new budget year — which often coincides with a new calendar year. Other hiring managers have hiring budgets that must be spent before the end of the year — “use it or lose it.” Both of these scenarios offer opportunities for jobseekers in December. Even if you aren’t offered a job in December, you can lay a lot of the groundwork by making connections before the end of the year, making it more likely that you’ll be hired quickly in the new year. Accept all invitations you receive for holiday parties and get-togethers. Whether it’s a social or charity event, dinner party, spouse’s Christmas party, or professional association event, use these opportunities to reacquaint yourself with people who might be useful in your job search, and make new connections. Be sure to follow-up. Re-connect with old friends and colleagues. Your network can be a great source of information, job leads, and referrals. Get back in touch with previous co-workers and supervisors, people from high school and college, former neighbors, etc. Host your own holiday party. It doesn’t have to be anything formal or elaborate. Hosting your own holiday open house, dinner party, or get-together can help jumpstart your job search (but that shouldn’t be the focus of your party, of course!). However, extending an invitation is a great excuse to reach out and talk with someone you haven’t spoken to in a while! Ask for specific information or help. For example, ask if the person knows anyone who works at “x” company instead of asking if they know of anyone hiring. During the holidays, your contacts might have more time to be of assistance, and they might be in a mood to be generous at this time of the year! 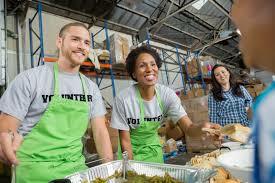 There are many opportunities during the holidays to give your time to charities and organizations. Some of these opportunities might also help you build your network, make new connections, and bolster your résumé. Use holiday cards to connect. If Christmas cards, holiday letters, and e-greetings are part of your end-of-the-year tradition, mentioning your job search (if you’re currently unemployed, or your position is ending) can be a useful strategy. Let people know you’re looking! Create a business networking card. Develop a business card that lists your contact information and social media links — especially to your LinkedIn profile. You can use this in lieu of your normal business card — or instead of it, if you’re unemployed. Update your social media presence. If you don’t yet have a LinkedIn profile, now is the time to create yours. If you have one, give it a fresh look. Is it time to update it? Can you increase your number of Connections — or solicit additional Recommendations? 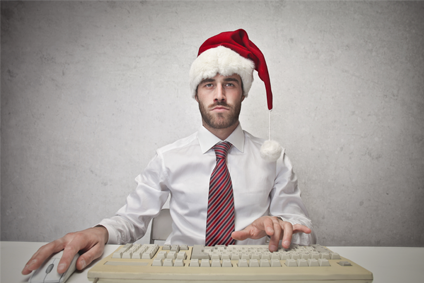 It’s that Time of Year Again: the Holiday Job Search is On! As cooler weather arrives and stores fill aisles with holiday items, it’s easy to get distracted — even discouraged — about the holidays and your job-search. Many job-seekers believe if they are in the middle of a job-search and Thanksgiving is on the horizon, that they might as well give up finding a job until the new year. Thinking that job-hunting, networking, and hiring stop because of the holidays is perhaps one of the biggest misconceptions of job-seekers — and that could be good news for you since you’re reading this article. The simple truth is that while the holidays do cause business to slow, employers are still interviewing and still hiring — and deep into planning for the following year. Plus, because many job-seekers suspend their job-hunting activities during the holidays, there is simply less competition for open positions. Use the how-to advice in this article to revisit, revamp, and reinvigorate your job-search during the holidays — and by doing so lay the groundwork for giving yourself the best present of all… a new job. The first step involves a change in your mindset — both about job-hunting and about the holidays. You’ll need to believe — really believe — that you can have job-search success during the holidays. You’ll also need to fight — and completely shake off — the holiday blues. A positive attitude and energy will not only provide you with more confidence, but will also radiate to employers — and give you an edge. Furthermore, make an action plan for the twenty or so business days between Thanksgiving and New Year’s — with a goal of accomplishing at least one job-search activity each day. The second step is about reviewing your job-search materials and strategies. If you have been job-hunting and not receiving any (or few) interviews, it is time to revisit your resume. (Consider free and paid services for critiquing your resume, as well as our job-seeker resume tools and resources). If you are obtaining interviews, but not receiving any offers, it is time to review your interviewing strategies. (Consider asking for feedback, conducting a mock interview, and using our job interviewing resources). The third step focuses on taking advantage of the holidays for pushing your networking activities into a higher gear. 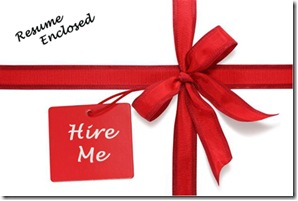 Besides your usual networking activities (which should be the main focus of your job-hunting strategy), consider sending holiday greeting cards to former co-workers, bosses, clients, vendors, and the like that include a networking or resume-highlights card; attend business, professional, and social holiday gatherings prepared with your short elevator speech and a plan to uncover any job leads and add more people to your network (but remember not to dwell on any job woes); conduct informational interviews with people — even the busiest folks (hiring managers and recruiters) are less likely to be traveling or stuck in meetings (plus most people will also be happier with the holiday spirit). Remember to follow up with all these folks after the holidays too. The fourth step involves monitoring key employer career centers and niche and professional job boards. Even in December, new job opportunities will be posted by employers, so spend some of your time monitoring and applying for these positions. These activities should in no way consume more than a quarter of your holiday job-search activities, as the other tools of job-hunting are much more likely to lead to job leads, job interviews, and job offers. Answering an urgent call from an employer, though, could lead to a quicker than usual hiring decision. An optional step, if you have the time and energy, is to volunteer. Charities and other organizations are often stressed to the limits trying to help people cope with the holidays. Besides the emotional and spiritual lift you’ll receive from giving back, volunteering is an excellent way to meet new people to add to your network. The irony of job search advice: There’s so much available that you don’t have to spend more than four seconds Googling about before you land on some nugget of wisdom or another. So let’s do this: Let’s boil things down to a short list of sound, timeless job searching tips that’ll help you fine-tune your strategy so that you may sail through the process (or at least cut out some of the unnecessary time and frustration). 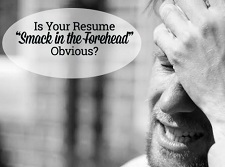 Don’t get me wrong—you absolutely must come across as polished, articulate and professional throughout your job search. However, many people translate this into: Must. Be. Boring. Are you a musician who has lost a home, instruments, car, equipment or ability to earn a living due to the devastating flooding? MusiCares provides a safety net of critical assistance for music people in times of need. MusiCares’ services and resources cover a wide range of financial, medical and personal emergencies, and each case is treated with integrity and confidentiality.MusiCares also focuses the resources and attention of the music industry on human service issues that directly impact the health and welfare of the music community. MusiCares has established the MusiCares Louisiana Flood Relief Fund to assist music people affected by the South Louisiana Floods. MusiCares’ initial assistance will provide funds for food and clothing, gasoline and transportation, clean up efforts, relocation costs, medicine and other critical supplies. In order to apply for assistance or to donate, please contact the South Regional office at (615) 327-0050 or toll free (877) 626-2748. Acadiana SHRM is a proud sponsor of this event. Where: Heymann Convention Center, 1373 South College Road, Lafayette, LA 70503 | No cost to reserve a table! Business set up begins at 7 a.m.
No cost to reserve a table! Annually this job fair is hosted by community organizations led by Louisiana Workforce Commission providing the opportunity for local area businesses to meet with willing and able workers. Last year this event attracted approximately 400 job seekers. Flood victims in 20 Louisiana parishes who lost their jobs or are temporarily out of work will be eligible for federal money to help cover lost wages. Businesses damaged by the historic flooding can also apply for relief for affected employees. The Louisiana Workforce Commission said Tuesday (Aug. 16) it is now accepting applications for disaster unemployment assistance for workers who live in one of the parishes declared by the U.S. government as major disaster areas. Eligible individuals and businesses have until Sept. 15 to apply. 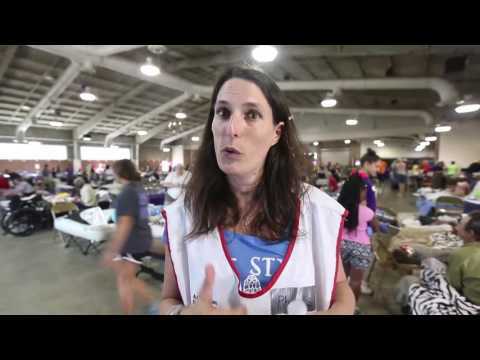 Parishes now declared federal disaster areas include East Baton Rouge, Livingston, St. Helena, Tangipahoa, Acadia, Ascension, East Feliciana, West Feliciana, Iberia, Lafayette, Pointe Coupee, St. Landry, Avoyelles, Iberville, Jefferson Davis, Evangeline, St. Martin, St. Tammany, Washington and Vermilion. Eligible workers can receive up to $247 a week — the maximum amount of unemployment compensation allowed in Louisiana — for each week of out of work. Benefits last up to 26 weeks as long as an individual’s unemployment continues to be the result of a disaster. were scheduled to begin work or self-employment when the flooding occurred. can no longer work or perform services because of physical damage or destruction to a workplace directly caused by the flooding. can establish the work or self-employment they are no longer able to perform was their principal source of income. do not qualify for unemployment benefits from any state. cannot perform work or self-employment because of any injury that was a direct result of the flood. have become the breadwinner or major support of a household because of the death of the head of household. Applicants must provide their Social Security number, check stubs and other documents that show they were working or self-employed when the disaster occurred. All required documents must be filed within 21 days from the date an application is submitted. Officials estimate flooding destroyed 75 percent of homes in Livingston. Those who run into problems or are unable to apply online can call the Louisiana Workforce Commission Benefits Analysis Team at 1-866-783-5567. Calls are answered Tuesday through Friday from 8 a.m. to 5 p.m.
Louisiana applicants for unemployment benefits should only use the official website, www.louisianaworks.net or www.laworks.net, developed and controlled by the State of Louisiana, for conducting unemployment insurance claim or employer business. This is an identity theft scam, and it has been reported in other states as well. Emails related to this scam may request documents and information from an applicant and claim that an application is at risk of being denied, or the email may indicate that an initial application was received but not completed and provide links to continue the unemployment filing process. Louisiana applicants are strongly urged not to register at these sites and to ignore any emails they may receive with any extensions of the addresses above. These are not websites endorsed by the Louisiana Workforce Commission or the Federal government. The Louisiana Workforce Commission does not request personal identifying information via email, and there are no fees associated with filing for unemployment benefits. If you believe your identity has been compromised, please contact local law enforcement and take steps to protect your identity.